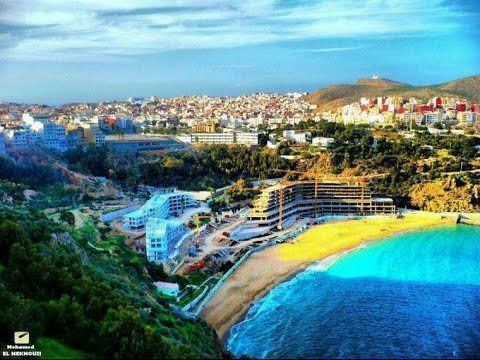 Al Hoceima (Riffian language: Taghzut or Biya, Arabic: الحسيمة) is a city in the north of Morocco, on the northern edge of the Rif Mountains and on the Mediterranean coast. It is the capital of Al Hoceima Province. It is situated in the territory of the Ayt Weryaghel and Ibeqquyen tribes of the Rif, who speak Tarifit Berber, locally called Tamazight. The Spanish troops built houses, schools and hospitals above the beach, creating the beginnings of the town. In the 1920s and 1930s, the town had almost no growth in population. Its name changed from Villa Sanjurjo to Villa Alhucemas, and the few streets above the beach were still occupied by mainly Spanish soldiers and their families. The first mayor was Florian Gómez Aroca. 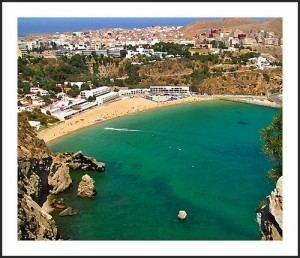 After Morocco gained its independence in 1956, Al Hoceima developed quickly, and the Moroccan government changed its name from the Spanish Villa Alhucemas to Al Hoceima, a surprising Arabization of a Spanish word of Arabic origin. (Alhucema originally comes from the Arabic word Huzama). The years from 1956 to 1959 were dark years for the Riffians, mainly for the people in Al Hoceima and Nador. Morocco's Hassan II became the military-commander and under his ruling a big amount of people were killed in the Rif in the years 1956 to 1959. The town and surrounding villages were hit by two large earthquakes within ten years. 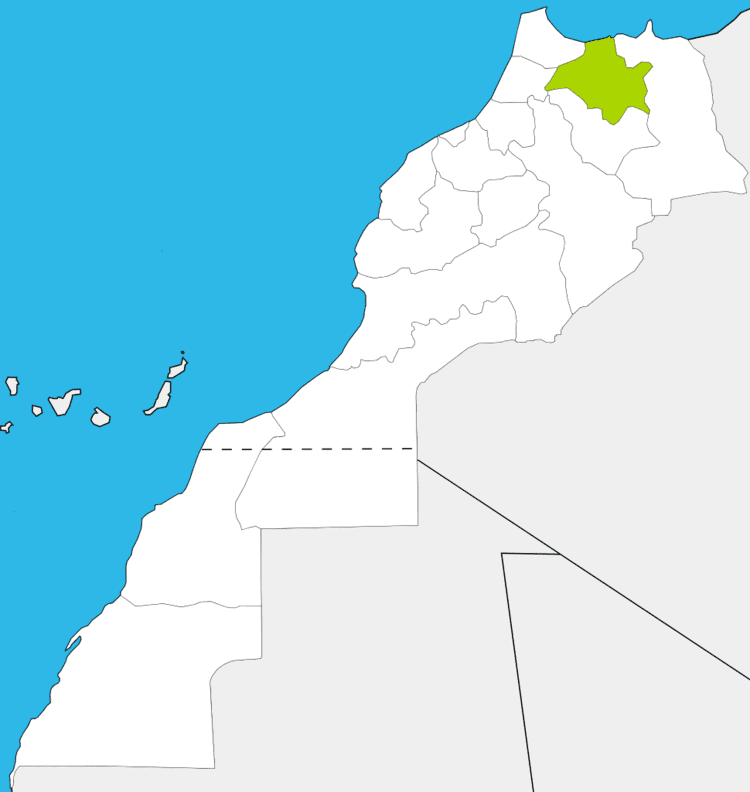 The first Mw 6.0 event occurred on May 26, 1994 and the second event (Mw 6.4) occurred on February 24, 2004, killing more than 560 people (see 2004 Morocco earthquake). 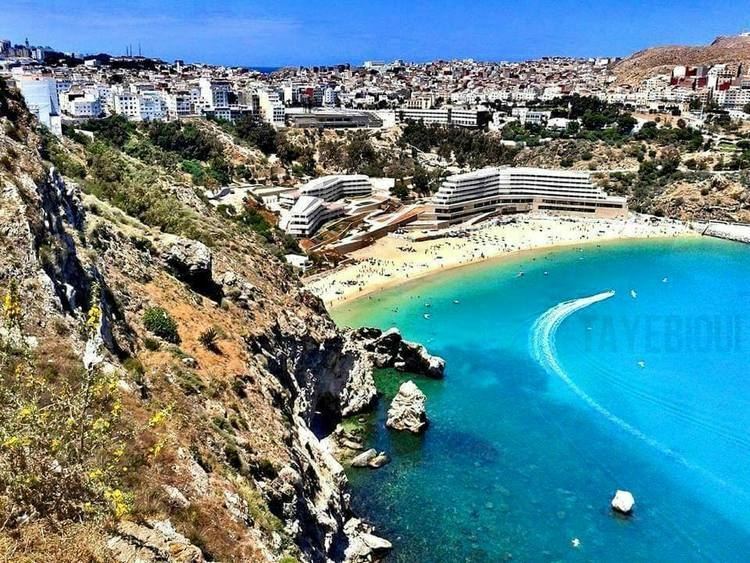 Al Hoceima is now a moderate-size city with an estimated population of 100,000. It has the second-largest port of the Rif Region (Nador being the largest). The first schools built by the Spanish colonials, (a college and an elementary school) and a Spanish catholic church, still exist today.